Breaking news – you can create your own promo video to be the first thing others see on your profile. Along with a picture, you have the option to create a short promo video about yourself. Tell those potential matches who you are by showcasing your personality. Do you have the mic skills to compete? 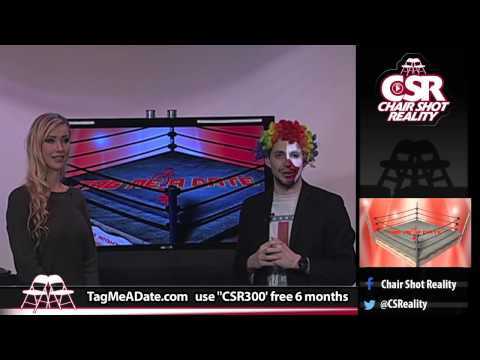 Find your tag team soul mate! Want to find out about all the latest happenings at TagMeADate? Tune in to “The War Report,” a wrestling and relationships podcast. TagMeADate joins forces with the voice of Northeast Wrestling, Vince Berry, to put together the very latest wrestling podcast. Join Vince, along with Steve, Eric, Ryan, and Kat as they discuss the latest wrestling topics and updates on the site. You can see special appearances by Charlie Armstrong and TagMeADate alum Big Hec. The War Report has had special guests such as Dr. Tom Prichard and The Stro, along with several independent wrestling names, and many more to come. Every Tuesday at 7:00PM Eastern Standard time on YouTube. Be ready for battle! It was with a heavy heart that we had to say goodbye to one of our brothers. On March 6, 2016, Stu Lazar passed away. Stu had three passions in life; the Mets, the Giants, and professional wrestling. We were happy to help him pursue the latter. Stu was our Road Warrior! Our MVP! 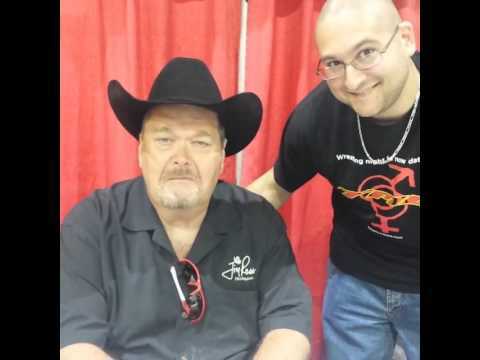 He was always helping out TagMeADate on our trips to live events and conventions, helping spread the word. No one had more spirit and energy than Stu, when it came to talking to the wrestlers that we met! He always wore a smile and was very positive. We couldn’t ask for a better ambassador! Stu’s engaging personality brought the wrestlers to us. You’d always see him chatting it up with our favorites, such as X-Pac, Melina, Krystal Marshall, and so many others. He went above and beyond and we will be forever grateful for his loyalty and friendship. Stu was a very kind and selfless person, and all he wanted to do was be a part of our journey. Stu was a coworker, a friend, and a brother. We’ll always cherish the moments we were lucky enough to share with him. Rest in peace, Stu! We love you!